wow, great idea, invention ! sounds like something that could be given an "anamorphic" blur program with oval bokeh! If only Ricoh did this first for their GRD. That's a horrible sample pair. 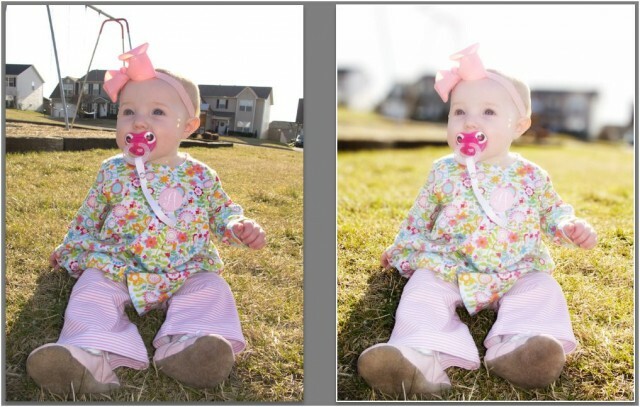 The bokeh looks unnatural to me, particularly how objects closer than the baby's head are sharp. Hopefully, they can improve the algorhythms.